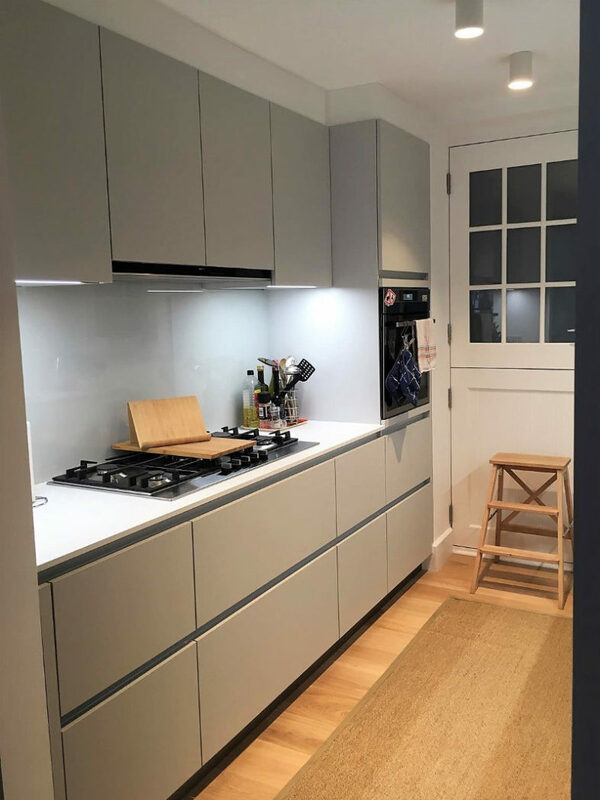 Our thanks to Casey and John Boursnell for letting us have these photos of their recently completed (Spring 2015) Next125 kitchen. 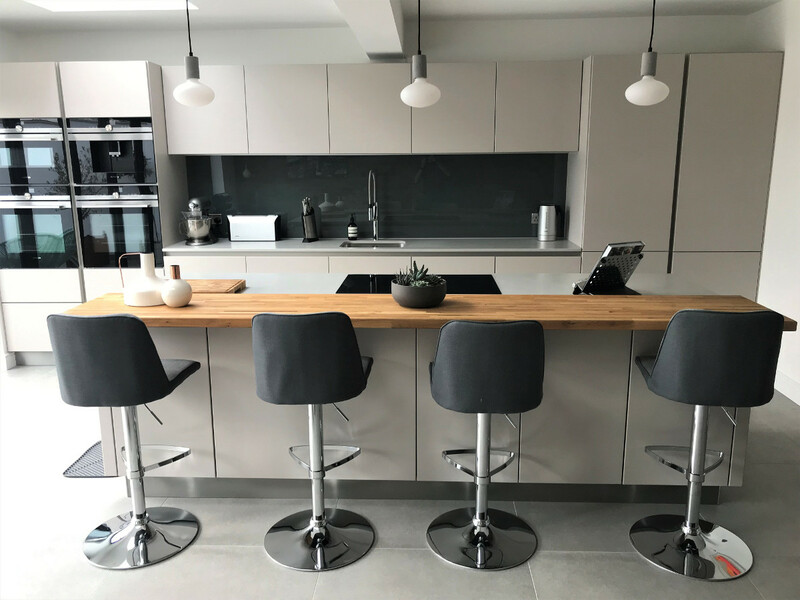 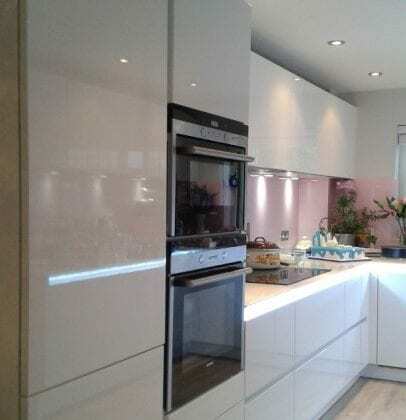 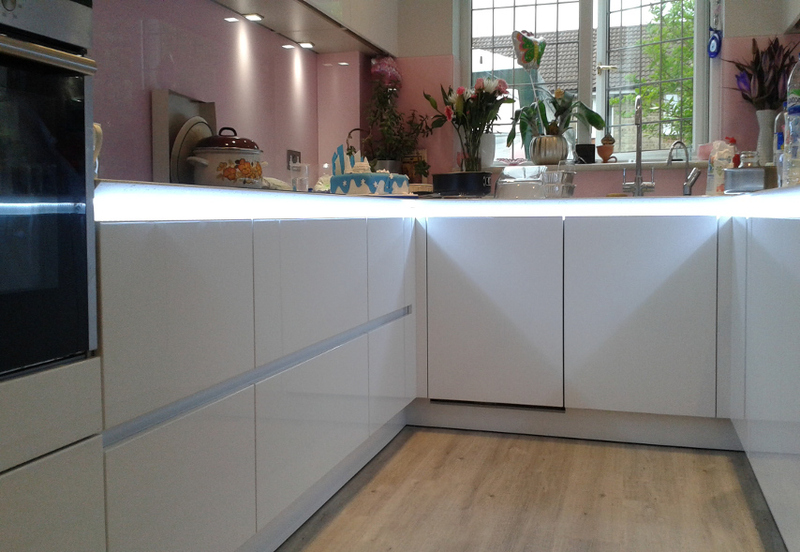 They chose Crystal white high gloss lacquer for the units with white mirror composite stone worktops with a 20mm profile. 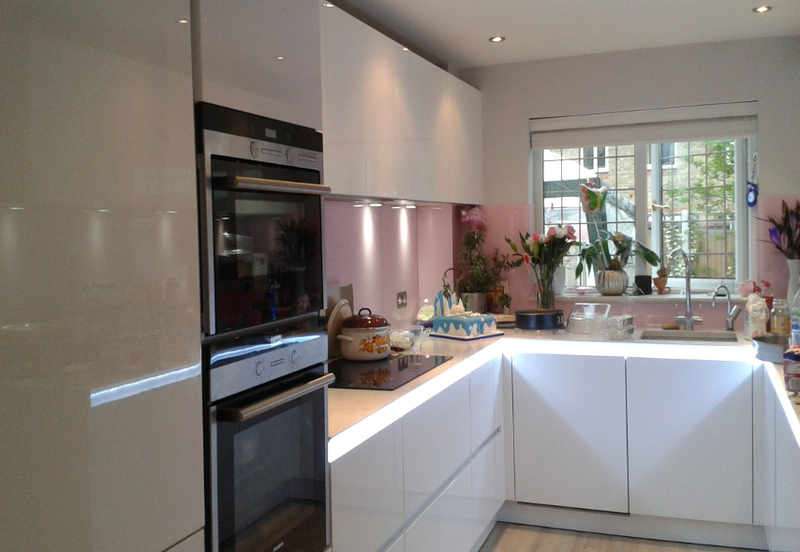 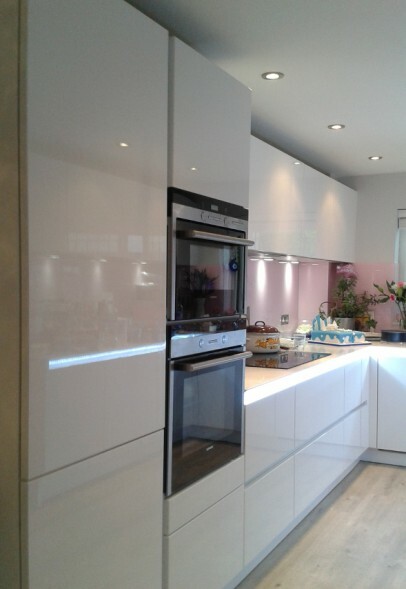 We really like the pink glass which adds a nice splash of colour to the kitchen.